Spring and Summer are just around the corner (believe it or not) so check out this lake cottage on Loon Lake in Columbia City! It is being offered fully furnished so everything you see in the pictures stays with the home! The cottage is perfect for laid back lake living with great fishing but also has ski/tube hours from 1-4 pm. 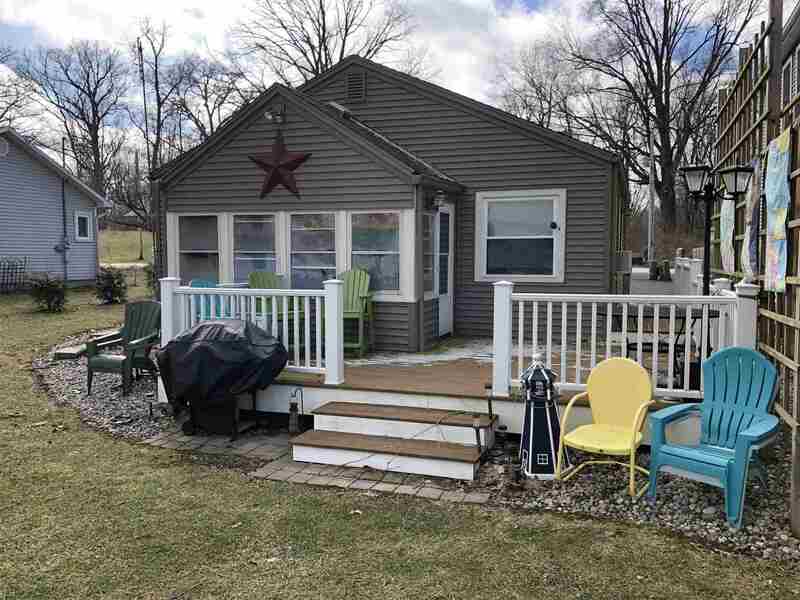 It features 42 ft. of lake front, a Trex deck overlooking the lake, enclosed three season room, a spacious eat-in kitchen, hardwood floors that were recently re-finished, and replacement windows/roof/siding replaced 10 years ago. A slab for a garage has been added if you would like to build one and the dock an boat lift also remain with the home. The owner's have a 2014 20 ft pontoon w/ 50 HP motor available for sale if interested. Inspections are welcome but the home is being sold âas isâ.